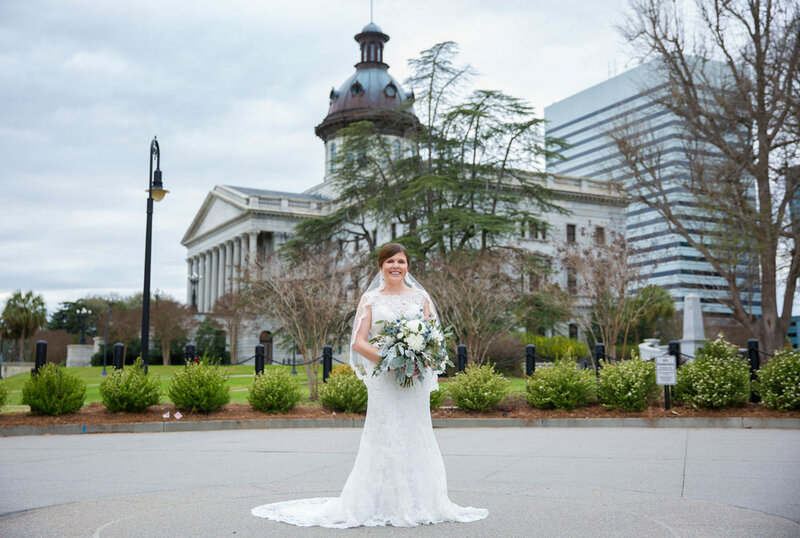 Along with her mom, her friend Casey, andyr7t66 photographer Katie Jaynes, Ali wandered the State House grounds in search of the perfect portrait spot. The two found several lovely locales and managed to capture the essence of South Carolina’s capital (and Capitol!). Photographer Katie is cousins with Ali’s fiancé and was delighted to welcome her to the family. 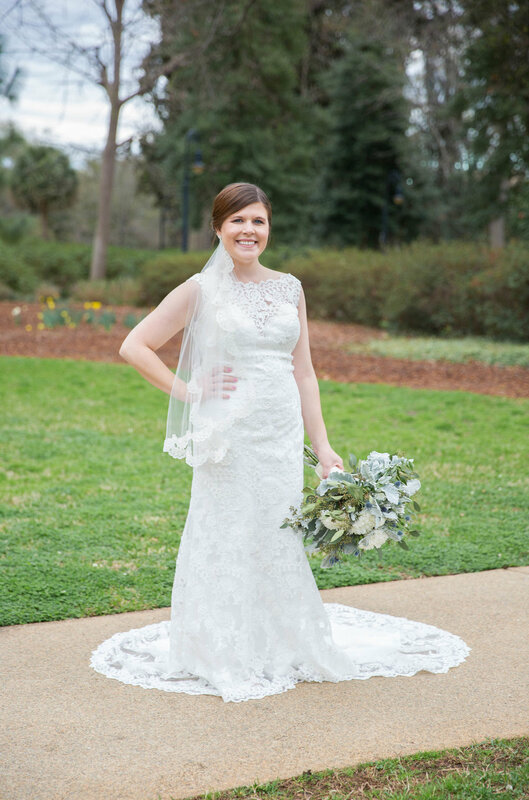 “[Ali] is not only gorgeous and the sweetest bride, but she cares deeply for others and gives Brent a run for his money with her wittiness and humor!” says Katie.